Kahlicia @ Tamaki Primary School: Key words about Matiora. 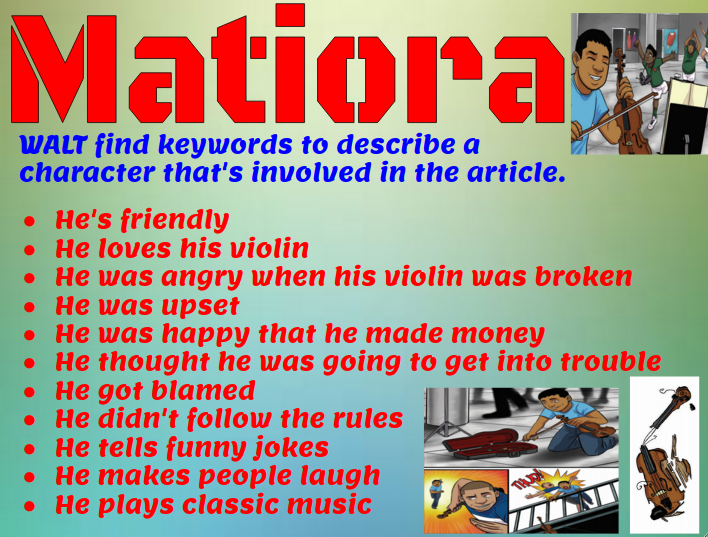 Today for reading I done a presentation on KEYWORDS to describe Matiora. 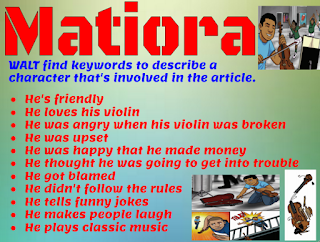 WALT find keywords to describe a character that's involved in the article.